What Happens to Health Insurance after Divorce? Paying for health care is a concern for many Americans, and most may not be able to afford necessary treatment without the contribution of health insurance benefits. Most couples place all family members under one policy offered by a spouse’s employer, and the choice is typically driven by the cost and quality of benefits offered. This coverage is an important component in the financial stability of families, but divorce can greatly change the availability of health coverage for the non-employee spouse. For spouses who do not work, or have chronic health conditions, the loss of coverage can be devastating, and not easily replaced. Because health insurance coverage is such an important piece of financial stability and overall health, it can be factored into the divorce settlement through the payment of premiums, so the non-employee spouse can keep the same coverage for a certain period of time. A discussion of the ramifications of divorce on the health insurance coverage of a covered spouse will follow below. Can Insurance Coverage Continue after Divorce? The covered spouse must expect and plan for being dropped from the primary health insurance plan once the divorce is finalized. He/she may remain on the plan while the divorce is pending, but coverage ends as of the date of the divorce. Further, the other spouse is under no obligation to continue to provide coverage once the marriage is dissolved. As mentioned above, the other spouse could agree to help with this transition by supplementing the cost of health insurance as part of the divorce settlement for a period of time until the covered spouse finds another option. However, this assistance will most likely be temporary. As a result, the spouse will need to find a new source of health care insurance. The easiest option may be to enroll in the covered spouse’s own employer-provided health plan, if possible. Divorce is considered a qualifying event, so enrollment blackout dates would not apply. If coverage is not offered or the spouse does not work, he/she may be able to keep coverage by enrollment in COBRA (Consolidated Omnibus Budget Reconciliation Act), a federal law that allows workers and their dependents to retain coverage they would otherwise lose due to issues such as job loss and divorce. Not all employers are subject to this law, such as the federal government and some religious institutions. Generally, the law applies to employers that offer group plans to 20 or more workers. Enrollment in COBRA must be elected within 60 days of receiving notice from the insurance company, and while coverage will remain the same, it only lasts for 36 months. Further, the premium would not be subsidized by an employer contribution, and thus, will most likely be substantially higher. Spouses with complicated or expensive medical issues may want to consider prioritizing this issue in settlement negotiations, and be willing to compromise in other areas, such as property division, in order to receive the financial assistance needed. 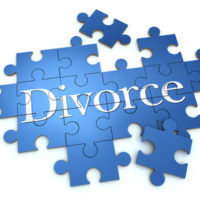 An experienced divorce attorney can guide the negotiation process so spousal health insurance coverage receives the amount of attention called for given the circumstances, and allow the party set to lose coverage some peace of mind as he/she figures out the next steps of living as a newly single adult. Health insurance coverage is one of those issues easy to overlook amongst everything else that changes with divorce. The experienced divorce attorneys at Orlando’s Donna Hung Law Group will not let you leave the divorce process without understanding all the implications of this decision. 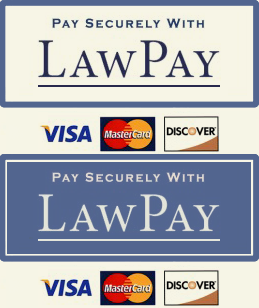 Contact us at (407) 999-0099 to set up a confidential consultation.